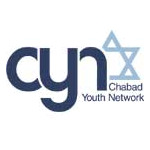 The Chai club is a group of friends of the Chabad Youth Network who commit to financially contributing in the denominations of $18 per month. Your support helps us continue our vital work that inspires thousands of Jewish Youth in Florida and beyond. *All grants and charitable contributions are tax-deductible. Please choose from the following monthly contributions.